Advertised all World Cup games then turned off the TV just as a penalty shoutout was happening! Everyone was well behaved, all drinks finished and just wanted to watch the end of the game after which they would have left. The manager was young and obviously had no experience. Shame as otherwise it was ok. Luckily the Pembroke Castle up the road let everyone in to watch the end of the game even though they were shut. 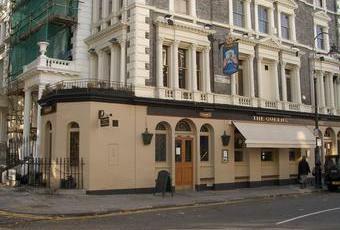 If you're thinking of going to the queens go the Pembroke castle instead it's just up the road as is a far better pub. No Sky TV but they have BT Sport. Never had a problem with stafff and the prices are cheaper than other pubs in the area. Having been in there off and on for the last 10 months I feel I’m now able to put forward a subjective and honest review not based on the bias of one or two bad experiences. Throw in the two geezers wedged in the same toilet cubicle repeatedly sniffing loudly (A sheltered lad like me could have no idea what they could possibly have been doing in there) and the nasty 80s cheese that was playing on my latest visit I think it’s fair to say I won’t ever be going back. The 6 others drinkers in the area are far far superior. Avoid at all costs as customer service are words the staff simply don’t understand and when they do finally have the time in their busy personal schedule to serve you they, in my experience, are surely and very blunt with no expression or friendliness. The only reason I think this place survives is it’s close proximity to the Hill. 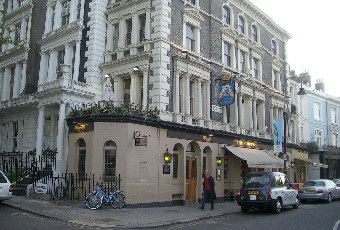 A pub that wouldn't be out of place near Leicester Square - overpriced, crap food, crap service and crap atmosphere. Crap. Any pub in which you might enter and finds oneself immediately beset by an employee saying and asking "Have you reserved a table?" or "Would you like to go to our restaurant area upstairs? 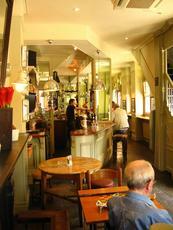 ", is no longer a pub but has become a restaurant. This change of use for this establishment should be registered.